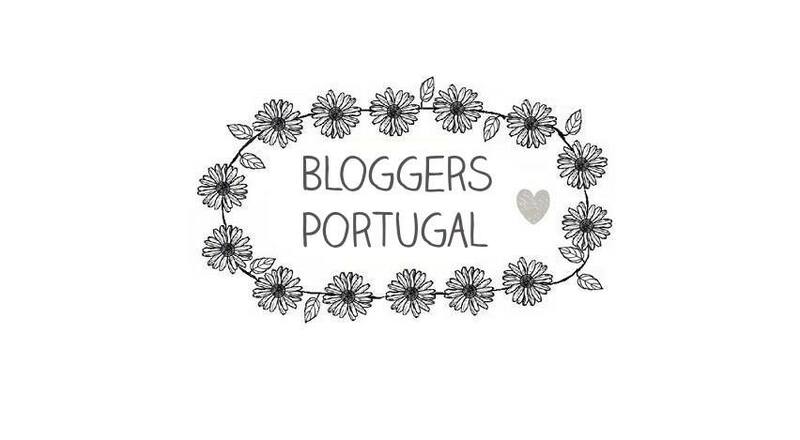 The month of February just ended and that means it's time for another monthly favourites! This month I didn't try a lot of new things - I know SHAME! - but I revisited some old products and fell in love with one of them. The first item is a kiko lipstick that I've used the most during this month - shade 805 - and what I have to say is that I love it a lot and I think I'll always will. The colour is amazing and it last not a lot but for me the necessary hours of my day. 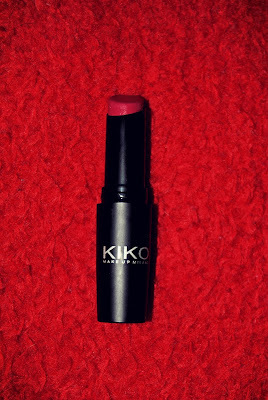 If you want to read my review on this and other lipsticks clik here. 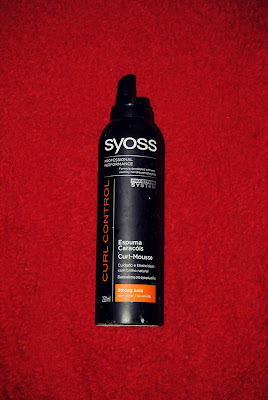 The next item is the item that I revisited and it is a hair mousse by syoss. I've been using it again because sometimes I need a "curl helper" when I go out at night with my friends and I wanna have a decent hair - which sometimes is impossible and I remembered why I use to love it. 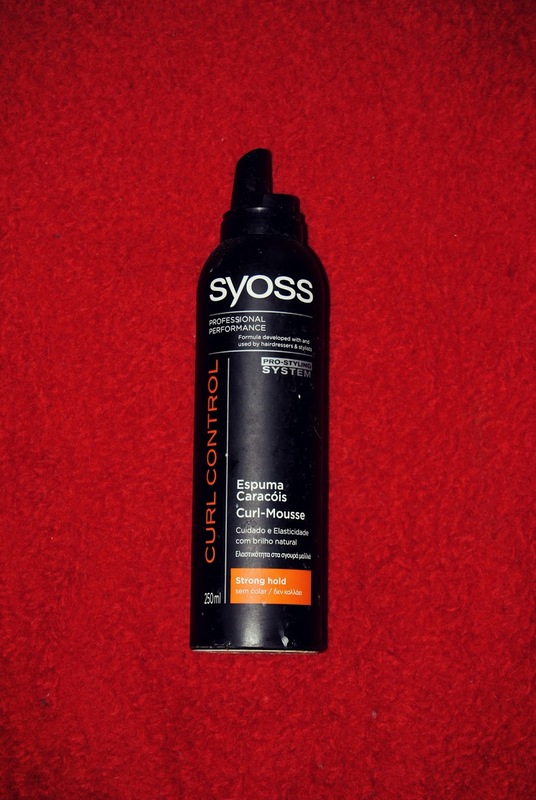 It can give my hair some well defined curls when I apply it in wet hair and then use the hair dyer to improve the results. 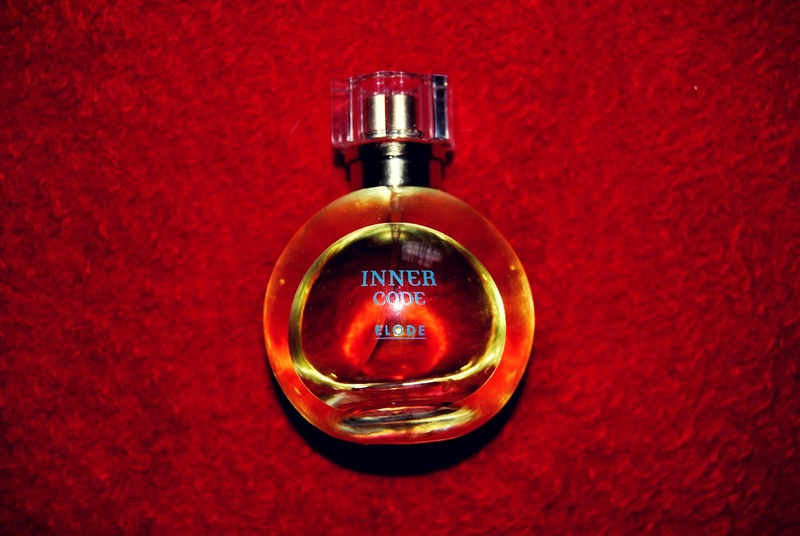 The last beauty item is a perfume named Inner Code by Elode. Until now I didn't knew this brand existed and I don't know a lot about it but I was desperately needing a new perfume and this one was on sale and I decided to try a new brand and was not disappointed with it. It has a soft sweet smell and it last a decent amount of time. I began my university classes on the 13th of February and I was needing a new bag because my old one was not only smaller but the straps were breaking. I went to a lot of stores but none of the bags available suit me and then I finally found it! I went to a store called Paco Martinez and found the perfect bag for me! 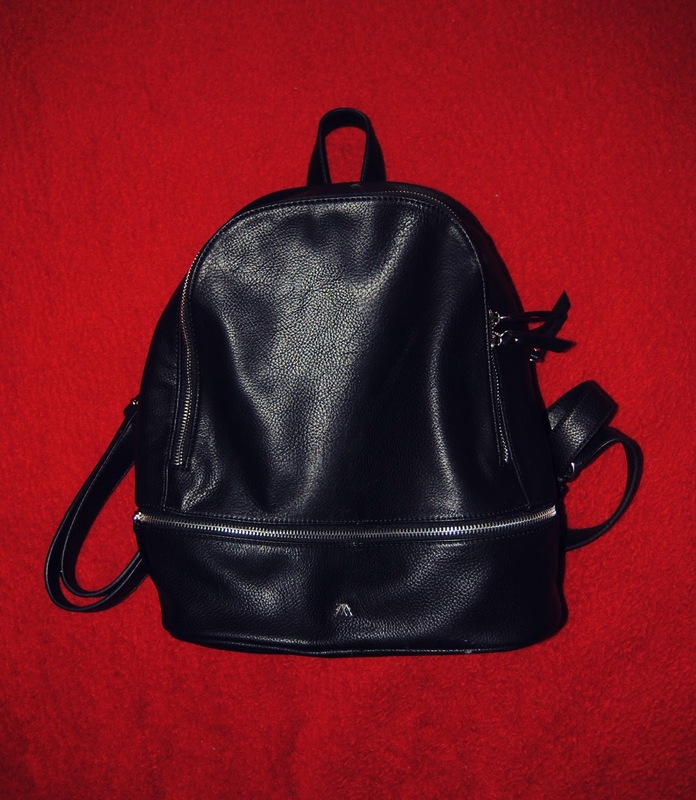 It's black and has a lot of storage space! I love it a lot! 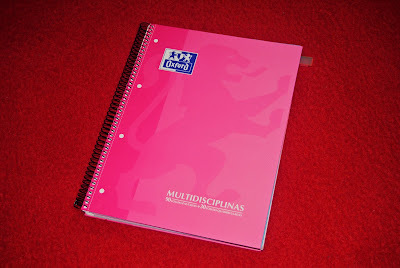 My final product favourite is a notebook by Oxford and I love it because it's multidisciplinary which means I can use it for 4 different classes and they are colour coordinated and I find it super useful because I can keep everything in one place and not have 4 different notebooks for four different classes. If the space gets used quickly then I'll to use something else but for now I love this notebook. 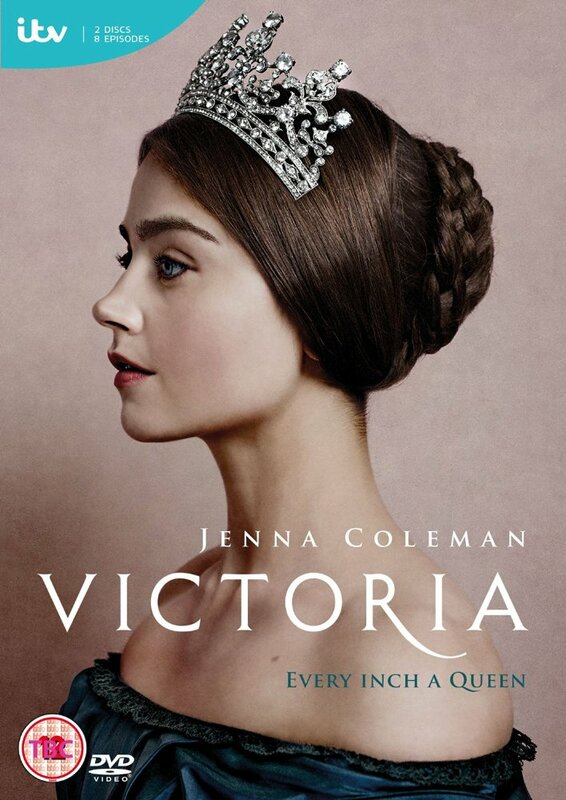 Lastly I have a TV Show named Victoria which talks about the life of Queen Victoria of England and it's really good! I love that era and that's why I love another TV-Show called Reign. Another thing that made me watch is the main actress - Jenna Coleman since I loved her when she was on Dr. Who. You have to see it! And that's all my favourites!